When I was a kid I wanted to be an astronomer. One of my role models was Carl Sagan, the charming original host of the television series Cosmos and author of countless books on astronomy and the nature of science. Later on I decided that biology was really my calling, and my entire career was the result of reading a single, incredibly powerful paper: The analysis of variance and the analysis of causes, by Richard Lewontin. I never had the pleasure of meeting Sagan, but I did have an hour long chat with Lewontin when I was a graduate student at the University of Connecticut and he was visiting our lab. It was one of the highlights of my life. Both Sagan and Lewontin had far more impact on me than just their science. Sagan made me sensitive to the importance of communicating with a broader public, to share the wonders of the scientific worldview, as well as to fight the irrationality of pseudoscience. Lewontin made me sensitive to the ideological underpinnings of science and even science popularizing, and therefore, ironically, somewhat skeptical of Sagan’s own approach. Recently, one of my readers suggested that I take a fresh look at a classic within this context: Lewontin’s review of one of Sagan’s best known books, and one that has influenced me for two decades: The Demon-Haunted World, subtitled Science as a Candle in the Dark. The review, entitled Billions and Billions of Demons (a playful, perhaps somewhat sarcastic, take on Sagan’s famous tagline about a universe with billions and billions of stars) is well worth pondering again today. I can sympathize. When, in 1997, I first debated a creationist, Duane Gish of the Institute for Creation Research (no kidding), I was squarely looking at things through Sagan’s filter: obviously creation “science” is no such thing; obviously evolutionary theory is solid science; and obviously anyone disagreeing with these two propositions is a hillbilly ignoramus. More than two decades after that debate I think that position was incredibly naive, and I find myself far closer to Lewontin’s, though not entirely on board just yet. In other words, and contra Sagan, it isn’t a question of educating people about facts, it’s a question of convincing them to trust the better authority. Think of it this way. You probably “know” that atomic nuclei are made of quarks, right? But do you? Really? Unless you are a physicist, or at any rate someone whose grasp of physics is far better than average, you don’t actually know how science arrived at this basic fact about the structure of the world. Instead, you are simply repeating a statement that you read in a book or heard from a prominent physicist, or your college physics professor. You don’t know. You trust. That’s why rejection of evolution in favor of creationism — while wrong (I actually know this, I’m a biologist) — is not irrational. It simply means that many people in the United States would rather trust their preachers, who they think speak on behalf of God, than Profs. Sagan, Lewontin, or Pigliucci. That’s why Lewontin, correctly, says that the only way to understand why creationism is such an issue in the US of A but not in pretty much any other Western country (and, again, is very much an issue in a lot of Islamic countries) we don’t need to look at the quality of science education. We need to look at the specific cultural history of the United States vs that of European countries. You hear similar ex cathedra pronouncements from the contemporary heirs of Sagan’s approach, for instance Neil deGrasse Tyson (who has taken over the helm of the new Cosmos series). Their analysis of the hows and whys of widespread beliefs in parapsychology, UFOs, astrology and so forth is just as unempirical and “seat-of-the-pants” as Sagan’s. One would expect better from people who loudly insist on the absolute necessity of systematic empirical data before making any pronouncement. I must say that my own experience as a scientist first, and now as a philosopher of science, is far more in synch with Lewontin’s cynicism than with Sagan’s optimism. Just in case your blood is boiling and you begin to think Lewontin to be a postmodern deconstructionist, think again (and try to breathe deeply). He is an atheist, and he certainly does believe that we landed on the moon. His point is about cautioning scientists and science popularizers against dismissing others on the ground that their views are “obviously” irrational. Rationality is a great tool, but its deployment depends on one’s axioms or, as Lewontin’s puts it, one’s prejudices. Well, yes, sort of. I would say that materialism itself is a philosophical position that many have arrived at because it is the one that makes the most sense of the world as we understand it. But wait, isn’t our understanding of the world based on the assumption of materialism? In a sense, but I think it is a mistake to see one as definitely preceding the other. Materialism and science co-evolved for centuries, and there was plenty of time when many prominent scientists were definitely not materialists, or at least not thoroughgoing materialists — from Newton to Alfred Wallace (the co-discoverer of natural selection). But the more the metaphysical leanings of natural philosophers (as scientists were once called) approached full fledged materialism, the more their science became successful at explaining and manipulating the world. This is, in a sense, a beautiful, centuries-long example of why one’s metaphysics should never be far from one’s epistemology (as it is, by contrast, with religion). The problem is that it’s really hard to imagine how to trigger that same sort of shift in a general public that hardly thinks either philosophically or scientifically. And no, more courses along the lines of Biology or Physics 101 ain’t gonna do it. Lewontin is absolutely right here. But the problem is, and he would be the first one to admit it, that there is no solution in sight. Are we supposed not to teach one of the most important scientific theories of all time because teaching it is going to be taken as yet another affront perpetrated on the working class by the moneyed elite? I doubt it. But the only other path I can see just ain’t gonna happen: establish a society where there is no such thing as the moneyed elite, where everyone has access to free education, and where consequently a lot of the cultural and economic factors that Lewontin correctly pinpoints will be erased or at least greatly diminished. I’ not holding my breath, are you? Obviously it ought, but equally obviously it doesn’t. And that, two and a half millennia later, is still the problem, and the reason why we are in the mess we are in. This entry was posted in Philosophy of Science on December 15, 2018 by Massimo. You would think that the one that gives the title to this essay is one of those silly questions that only a philosopher would pose. And yet, a few months ago I unwittingly caused a Twitterstorm when I suggested that philosophy is, indeed, a profession, and that it comes with credentials (in the form of an awarded PhD, job titles and so forth) and even (gasp!) expertise. I will start by presenting my arguments for why philosophy is indeed a profession that marks a certain kind of expertise; then we’ll talk about why this matters; and finally we’ll explore why, I think, so many people got positively upset at the mere suggestion that there can be professional philosophers, and even more so that they deserve a bit of respect when they talk about their own subject matter. I will also address some common objections to the idea of professional philosophy, as they were put to me during said Twitterstorm. 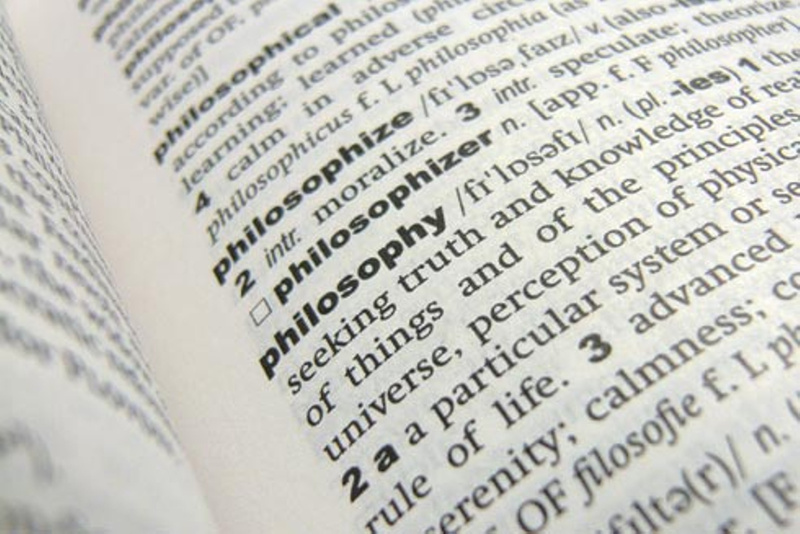 Modern philosophy, meaning — approximately — philosophy has it has been practiced since the 20th century, is a profession in the same sense that, say, psychology or dentistry are professions. If you want to become a psychologist, or a dentist, you go to specialized schools, you take specific courses, you demonstrate your ability as a practitioner, and you get awarded a certificate that says that yup, you are indeed a psychologist, dentist, or philosopher. You then look for a job in your chosen profession, and if you are capable and lucky you land one. You then practice said profession, drawing a salary or other form of income. And eventually you cease practicing in order to enjoy a more or less well deserved retirement. Typically, in order to become a professional philosopher one needs an undergraduate degree in that field (in the United States, four years) and a PhD from an accredited university (4-6 years on average, but it can be more). The PhD requires taking advanced courses (in my case, for instance, on Plato, ethics, Descartes, Kant, and a number of others), and the writing of a dissertation that must be of publication quality and advance the field by way of proposing original ideas (here is mine). After this, a young philosopher may find temporary employment as a postdoctoral associate, or as a lecturer, and eventually, maybe, land a tenure track position (though the whole institution of tenure has been under relentless attack by conservative political forces, but that’s another discussion). If you do get such a position, you then have six years to prove to your colleagues that you are worth retaining and being promoted from assistant to associate professor, a promotion that comes with some benefits (beginning with tenure itself) and usually a very modest increase in salary. If you are good, a number of years later (usually around five) you get another promotion, to full professor, which comes with little additional benefits (except that now you can serve on more university committees!) and with an equally modest increase in salary. What I have just described, of course, is the academic path. It used to be pretty much the only game in town, but now the American Philosophical Association has a whole booklet on career paths beyond academia, if you are so inclined. Nevertheless, the academy is still where you will find most professional philosophers, these days. So, since becoming a philosopher requires studying and getting a degree, and is often associated with belonging to a professional society and getting a regular salary from an employer (usually a university) it seems pretty obvious that philosophy is, indeed, a profession as succinctly defined by the Merriam-Webster: a type of job that requires special education, training, or skill. Why did I bother engaging in the above elucidation of the obvious? Because ever since I switched my own career from that of a scientist (evolutionary biology) to that of a philosopher, I noticed an incredible amount of hostility and dismissal toward philosophy, including — unbelievably — by some philosophers! I think it is important to correct public misperceptions of philosophy in particular, and of the humanities in general, not because these disciplines are difficult to practice and therefore deserving of respect, but because they are vital to the functioning of an open society. Far too often these days we hear administrators and politicians (usually, but not only, conservatives) saying that a college degree should prepare students to find well paying jobs. That is simply not the case. That definition applies to trade schools, not universities. Yes, of course you want to find a well paying job, especially given the insane amount of money you will have to shell for the privilege of a higher education in the increasingly unequal United States of America (and elsewhere). But the point of a liberal arts education (as it used to be called before “liberal” somehow became a dirty word) is first and foremost to help create mature adults and responsible citizens. You know, the sort of people who can think for themselves about what to do with their lives, instead of being brainwashed by corporate ads. Or the sort of people who believe that voting is both a right and a privilege, and who exercise such right/privilege by doing their homework on different candidates, instead of falling for blatant propaganda and conspiracy theories. That, and not to create an obedient army of drones for the corporate world and an increasingly illiberal government, is what education is for. No wonder so many in power have tried so hard to undermine that mission. And make no mistake about it, that mission requires a substantial involvement in the humanities, not just the STEM fields. Everyone these days claims to be teaching “critical thinking,” but trust me, you ain’t gonna learn that in a biology class, or in chemistry, or in engineering. You will learn all sorts of interesting things in those classes, some of which may even be useful for getting you a job. But you won’t acquire the sort of ability at critical analysis and writing that philosophy will give you. You will also not be able to familiarize yourself with art, literature and music, some of the main reasons why human life is so interesting and varied. And you will not learn about the stupid things we have repeatedly done in the course of history — which is just as well from the point of view of politicians who prefer to keep selling you propaganda according to which you live (of course!) in the best nation that has ever blessed planet earth, handpicked by God himself to be a shining light for the rest of the world. You see, if you read Plato and Shakespeare and Haruki Murakami, or learn about the American bombing of Dresden at the end of WWII, or appreciate just how and why inequality, racism, and sexism are still pervasive in the 21st century, you will might start questioning what the hell is going on and how to change it. As one of my favorite comedians, George Carlin, once put it: “it’s called the American dream because you must be asleep to believe it.” Philosophy, and the rest of the humanities, are a major way for you to wake up. (i) People who believe that I’m telling them that only professional philosophers can think. What? No, and if you believe that’s the implicature of the above position, you may benefit to taking a philosophy class or two! Snarky comments aside (sorry, this sort of exercise is exhausting! ), of course philosophers aren’t the only people who can think, or even think well. Nor does thinking require a license or accreditation of any sort. But the job description of the philosopher is not “thinker,” but rather thinker of a particular kind, using particular tools, applying them to particular subject matters. Similarly, a psychotherapist, say, isn’t just someone who talk to you about your problems. Your friend can do that over a beer at the local pub. But your friend is not professionally trained, is not aware of psychological theories of human behavior, and is not familiar with psychotherapeutic techniques. That’s why so many people pay professional therapists to talk about their problems, instead (or on top) of having a beer with their friends. That is why it is bizarre that when someone disagrees with me on Twitter or Facebook they often say something along the lines of “you should be aware of logical fallacies,” or “you should study philosophy of science” (actual phrases, and please notice that I teach a course on — among other things — logical fallacies, have written technical papers on the topic, and my specialty is, you guessed it, philosophy of science). This isn’t to say that a professional is always right and an amateur always wrong. Sometimes your intuitions about what’s wrong with your car may trump those of your mechanic. But, as a general rule, is far more likely the expert got it right and that you have a superficial or incomplete understanding of the matter. There is no shame in this, of course. We can’t all be experts on everything. (ii) Which brings me to the second cause of irritation among some commenters: a good number of people seem not to recognize that philosophy is a field of expertise. On the one hand, this is understandable, but on the other hand it is downright bizarre. It’s understandable because philosophy is, indeed, a rather peculiar field, even within the academy. 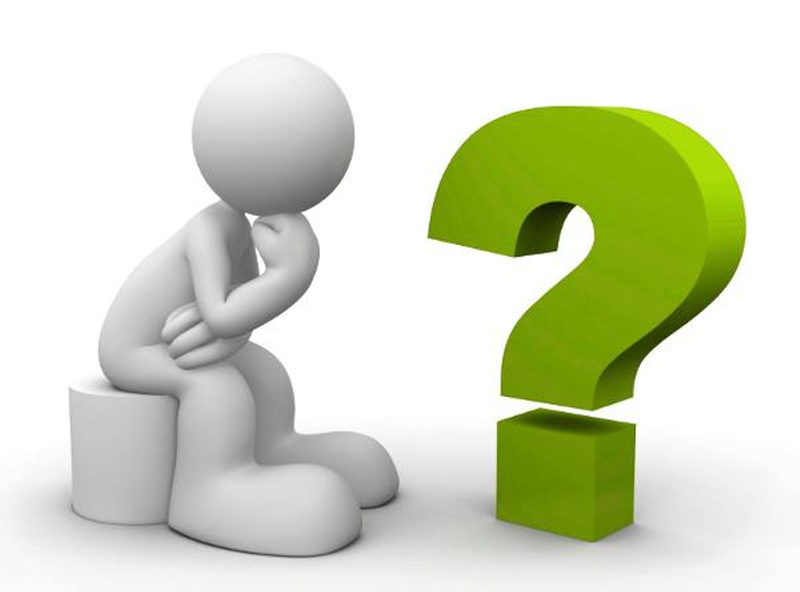 While biologists study the living world, physicists study the fundamentals of matter and energy, psychologists study human behavior, and historian study human history, what do philosophers study, exactly? The answer is: everything. Which doesn’t mean they are experts on everything. Here is how it works. First off, the very comparison between philosophy and, say, biology, is misleading. “Philosophy,” if anything, is comparable to “science,” not to a sub-discipline of science. Second, philosophers are interested in broad vistas and the connections among fields, hence the various “philosophies of” (mind, biology, physics, social science, language, history, and so forth). This doesn’t make it easier, but more difficult to be a philosopher. Take my own case: I am a philosopher of science, and in particular a philosopher of evolutionary biology. This means that I need to be very familiar with not one, but two areas of scholarship: evolutionary biology and philosophy of science. I need to understand both the biology and epistemology, for instance, in order to apply a philosophical lense to the science and ask questions like what is the logic and structure of a particular scientific theory, how do unstated assumptions and unrecognized biases interfere with scientific research, what exactly is the relationship between a scientific theory and the evidence that is invoked to back it up (i.e., what’s the “epistemic warrant” of the theory). Surely this sort of work requires expertise. Equally surely, someone without background in both science and philosophy of science is unlikely to just waltz in and come up with a novel idea that will stun the pros. It’s possible, of course, but very, very unlikely. (iii) A third group of responses threw back at me that apparent incongruity that I have spent years encouraging people to practice philosophy (Stoicism, specifically) in their everyday life, and yet I’m now telling them that they don’t understand it. But there is a big difference between philosophy as an academic field of scholarship and philosophy understood as a daily practice in life. The first one is the province of professionals, the second one can (and, I think, should) be accessible by anyone willing to spend a modicum of time reading about it. Again, the difference that I’m drawing here should not be surprising, as it finds lots of parallels. Everyone should exercise to maintain good health. That doesn’t mean everyone suddenly is a professional trainer or athlete. Anyone is capable of driving a car. But we are not a planet of car mechanics. Every Christian is able to read the Gospels, but few are theologians of the level of Thomas Aquinas. And so on, the examples are endless. So, no, there is no contradiction at all between the notion that philosophy is a specialized academic profession requiring a lot of training and the idea that anyone can read up enough about Stoicism, or Buddhism, or any other philosophical or religious practice and incorporate them in their lives. (1) But dentists (say) produce something, what do philosophers produce? (2) But Socrates did not have a PhD! True. Neither did Darwin. Or Galileo. But today it’s really, really hard to become a professional biologist or physicist without proper, standardized, and rigorous training, usually certified by the award of a PhD. Philosophy has changed exactly in the same way in which all other fields of inquiry have, and for similar reasons (increased specialization, consequent division of labor, institutionalization, etc.). (3) But someone can make novel contributions to philosophy even without a degree. Yes. Just like someone can make a novel contribution to biology, or physics, and so forth. Such cases exist, but they are rare. Indeed, they are increasingly hard to find, across fields, precisely because both humanistic and scientific knowledge are getting more and more sophisticated and specialized, thus requiring extensive professional training. (4) But plenty of professional philosophers don’t make interesting contributions to the field. True. And the same goes for plenty of professional biologists (believe me, I’ve seen it) and, I assume, professional physicists, mathematicians, and so forth. Even so, your average philosopher (or biologist, or physicist) will still have a far more sophisticated command of her field than someone who has never studied it systematically. (5) But there are serious problems with academia. Indeed there are. This is something often pointed out, among others, by my friend Nigel Warburton. That said, Nigel himself has a PhD in philosophy and was an academic before going freelance. And for his spectacularly successful podcast, Philosophy Bites, he tends to interview… you guessed it! Professional philosophers! (Including yours truly.) Because they have knowledge of their field, and interesting things to say about it. So, can we please get over this strange combination of defensiveness and disdain, and admit that philosophy is — among other things — a serious profession carried out by people with expertise? As I argued above, there is far more at stake here than a petty turf war or wounded egos. Taking philosophy (and the humanities) seriously may be what ultimately will save us from the forces of obscurantism and tyranny. 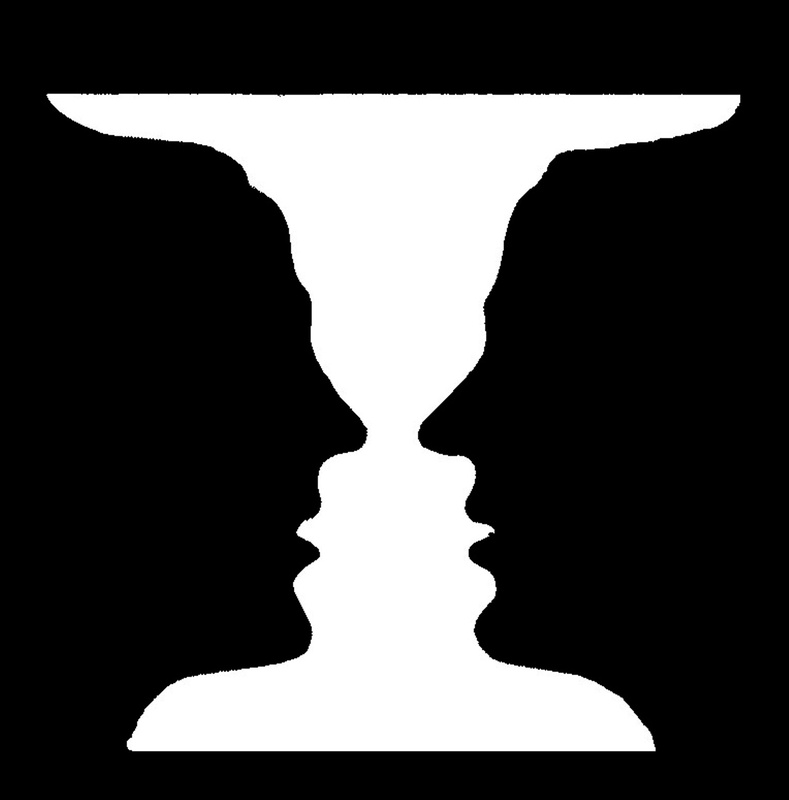 This entry was posted in Metaphilosophy on December 10, 2018 by Massimo. The theory then experienced a period of “eclipse” at the turn of the 20th century. Many biologists accepted the idea of common descent but either rejected or greatly de-emphasized the importance of natural selection as an evolutionary mechanism. The situation was exacerbated by the rediscovery of Mendel’s work, which pointed to an apparent incompatibility between discrete inheritance particles (“genes”) and the sort of continuous quantitative variation necessary for natural selection to produce gradual evolutionary change. Famously, the crisis was overcome with the reconciliation of Mendelian and statistical genetics made possible by Ronald Fisher, J.B.S. Haldane and Sewall Wright in the 1930s, and that later on culminated in the Modern Synthesis (henceforth, MS) of the 1940s, to which several additional authors made important contributions, including but not limited to Theodosius Dobzhansky, Julian Huxley, Ernst Mayr, and George G. Simpson. The MS is still the version of the theory largely accepted by the scientific community, and it is what graduate students in the discipline are trained on. More recently, several authors have pushed for an Extended Synthesis (henceforth, ES) in evolutionary biology, initially from a variety of individual perspectives largely rooted in particular fields of inquiry, such as Evo-Devo or phenotypic plasticity, and now with a more concerted effort aimed explicitly at the formalization of a broader conceptual framework for evolutionary biology (see here). The ES is very much a work in progress, but the idea is to accomplish a number of goals that have so far proven somewhat elusive: first and foremost, to finally bring developmental biology – famously left out of the MS – into the fold. Second, to provide a coherent way to reconcile the “holistic” tendencies of organismal biological research with the decidedly more reductionist approach of molecular biology and its most recent products, the various “-omics” (genomics, proteomics, metabolomics, etc.). Third, to incorporate as primary players a number of biological phenomena and processes that had been either discarded or minimized within the context of the MS, e.g., phenotypic plasticity, genetic accommodation, epigenetic inheritance, etc. Fourth, to expand the standard theoretical toolkit of the MS – which is primarily grounded in population and quantitative genetic theory – to include elements from computational biology and complexity theory. Fifthly, to incorporate in evolutionary theory new concepts that have emerged from theoretical research during the past several years, chief among them the triad constituted by evolvability (i.e., the possibility of the evolution of evolutionary mechanisms), modularity (of different components of an organism’s phenotype) and robustness (i.e., the degree of resilience of developmental mechanisms). In the paper I address the question of whether any of the above amounts to something akin to Thomas Kuhn’s famous paradigm shifts, i.e. whether evolutionary biology has ever undergone anything like what Kuhn describes as a moment of revolutionary science. I argue that it has not, and that it will not, even if the ES will succeed in establishing itself. Rather, I think the only time in the history of biology when such a transition has occurred was during the 19th century, when Darwin’s original theory replaced the dominant “paradigm” of the day, Paley-style natural theology. In the following I will discuss that particular paradigm shift, together with the general Kuhian notion of alternation between revolutionary and “normal” science. People interested in the same analysis applied to what happened to evolutionary theory after the onset of Darwinism are referred to the full paper. “In crossing a heath, suppose I pitched my foot against a stone, and were asked how the stone came to be there: I might possibly answer, that for any thing I know to the contrary, it had lain there for ever: nor would it perhaps be very easy to show the absurdity of this answer. But suppose I had found a watch upon the ground, and it should be inquired how the watch happened to be in that place; I should hardly think of the answer which I had before given, that for any thing I knew, the watch might have always been there. Yet why should not this answer serve for the watch, as well as for the stone? Why is it not as admissible in the second case as in the first? For this reason, and for no other, viz., that when we come to inspect the watch, we perceive (what we could not discover in the stone) that its several parts are framed and put together for a purpose (…) This mechanism being observed (…) the inference, we think, is inevitable, that the watch must have had a maker; that there must have existed, at some time, and at some place of other, an artificer or artificers, who formed it for the purpose which we find it actually to answer; who comprehended its construction, and designed its use.” (1802, p. 5). Paley argued by analogy from the watch/watchmaker inference to the complex living organism/supernatural intelligent designer inference, despite the fact that such inference had been dealt a devastating philosophical blow by Hume, writing several decades before Paley, in 1779. Contrary to what has been assumed for a long time, Paley appeared to have been familiar with Hume, though he was obviously unconvinced by the latter’s arguments. Darwin was initially persuaded by Paley’s reasoning, but eventually of course provided the decisive counterpoint that was missing in Hume: an alternative mechanism (natural selection) to generate both biological complexity and the pattern of common descent that was denied by Paley’s natural theology. It behooves us to briefly examine Darwin’s answer, so that we may then proceed to compare Paley’s and Darwin’s “paradigms” in view of Kuhn’s ideas to see whether we can sensibly talk of a paradigm shift occurring at the very onset of evolutionary biology as an independent discipline. To summarize, then, the idea of intelligent design – which had been around at least since Plato’s Timaeus – had been severely crippled on philosophical grounds by Hume in the 18th century. 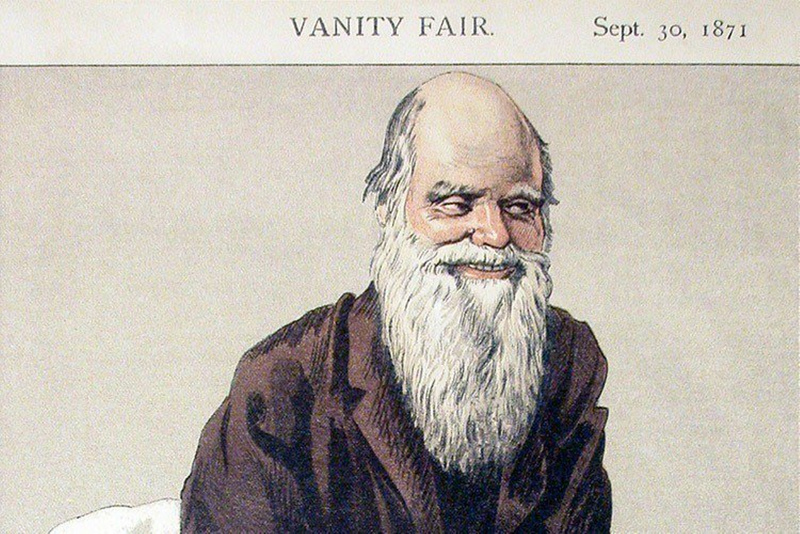 Still, Paley was able to mount a spirited and detailed defense of it at the onset of the 19th century, while Darwin provided the final blow to it (except of course for the modern resurgence of creationism, which is not an intellectually meaningful movement) for the first time on scientific grounds during the second part of the 19th century. It is on the latter transition that I wish to focus in part II, from the perspective of Kuhn’s paradigm shifts.